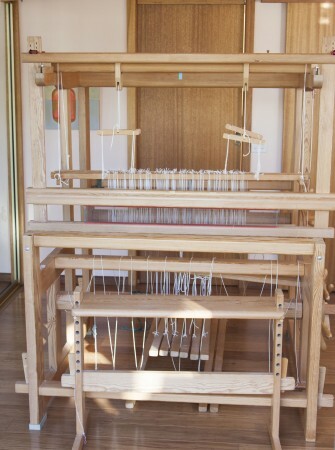 It is a Glimakra Standard Counterbalance loom with 120cm weaving width, 8 shafts and 10 treadles (actually 9 treadles because as one is missing). I am very excited and a bit daunted. 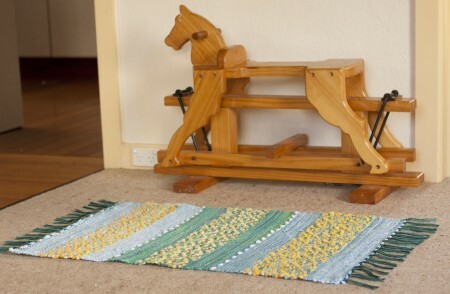 It is so thrilling to have a big, sturdy, capable loom and I warped it up for a rag rug right away. 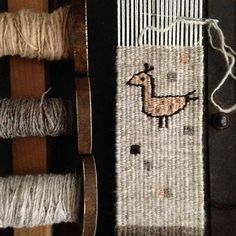 I feel a little bit out of my depth with this loom and I need to frequently remind myself to take it ‘one step at a time’ rather than feeling overwhelmed by it all. I have to trust, that soon, I will feel sure of myself with this new tool. Recently, in preparation for the ‘hoped for’ floor loom purchase, I did a big reorganisation and had a new floor installed in my workroom. 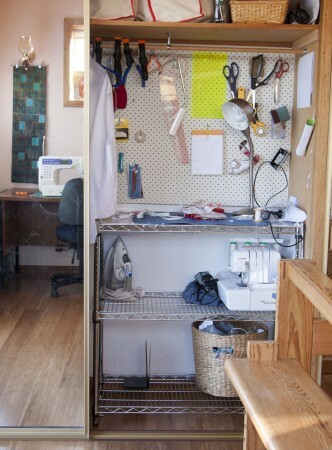 In order to free up floor space in my room I’ve put away a large folding table and set up a workstation and pegboard inside one of the wardrobes. All this has created a workspace that feels open an uncluttered and inviting. In fact, I’m going to stop typing now and head on up there. 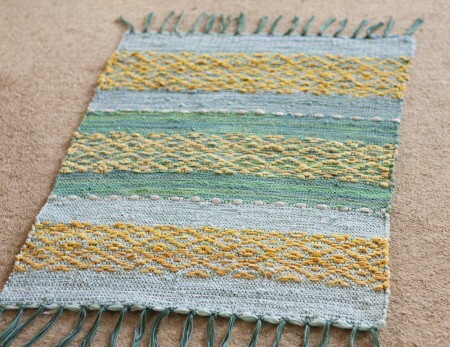 The heater is on and I have some… sewing to do. How exciting! 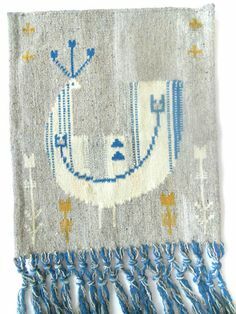 A beautiful rug and your room looks great! 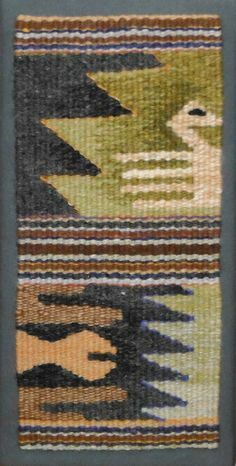 Thank you so much:-D I just visited your blog and I’m chuffed to connect with another Australian Weaving blogger! There are a few of us! Are you in Melbourne?